All six live-action Star Wars feature films utilizing the highest possible picture and audio presentation, along with three additional discs and more than 30 hours of extensive special features including never-before-seen deleted and alternate scenes, an exploration of the exclusive Star Wars archives, and much more. LAS VEGAS (Jan. 6, 2011) – The most anticipated Blu-ray release ever – Star Wars: The Complete Saga – emerges from light speed this September 2011. For the first time, all six of George Lucas' epic films (Episodes I-VI) are united in one complete set. Fans worldwide are able to pre-order now with online retailers. Star Wars: The Complete Saga (Episodes I-VI) [Blu-ray] will feature all six live-action Star Wars feature films utilizing the highest possible picture and audio presentation, along with three additional discs and more than 30 hours of extensive special features including never-before-seen deleted and alternate scenes, an exploration of the exclusive Star Wars archives, and much more. 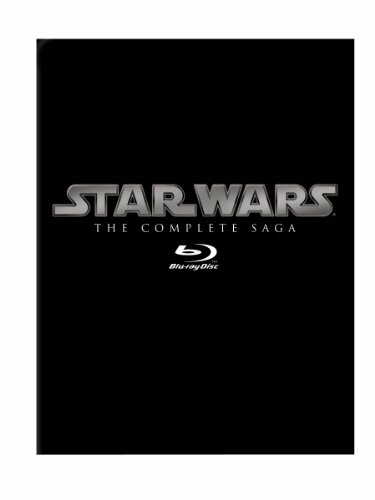 Star Wars: The Complete Saga (Episodes I-VI) [Blu-ray] on Blu-ray will be available for $139.99 US/$179.99 CAN and the Star Wars: Trilogy Sets for $69.99 US/89.99 CAN. Pricing for each set will vary by international territory. "The Star Wars franchise has been one of the most anticipated Blu-ray releases by Amazon's customers," said Bill Carr, Vice President of Music and Video at Amazon. "We think that Star Wars will be incredibly popular with our customers, and we expect pre-orders to be very strong." Lucasfilm, STAR WARS and related properties are trademarks and/or copyrights, in the United States and other countries, of Lucasfilm Ltd. and/or its affiliates. TM & © Lucasfilm Ltd. All rights reserved. All other trademarks and trade names are properties of their respective owners.